The seventh day. 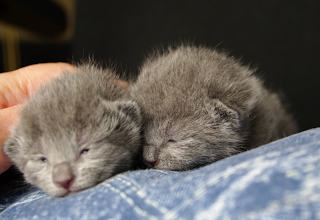 Our little babies one after another open their eyes. Of course, it is only the very small bluish spots, like a tiny pieces of ice in the corners. But it is so pleasant, so glad sign, indicating that our little babies develop in a proper way.